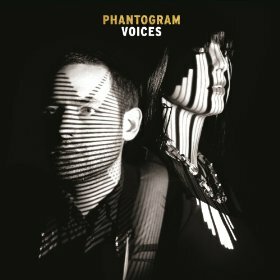 Phantogram has been on a slow and steady rise since their debut release, Eyelid Movies, in 2010. Four years, two EPs, and countless sold-out headlining shows later, the dream pop/hip hop fusion act is back, and have definitely delivered. Their sophomore record, Voices brims with a mixture of arena anthems and ambient trance-inducing songs that serve as the soundtrack to your day. The duo, comprised of Sarah Barthel and Josh Carter, describe their style as “street beat,” combining mechanic mid-tempo backing beats, synthesizer lines that alternate from ambient to boastful, and a yearning, vulnerable vocal performance. Produced by John Hill, who has worked with M.I.A. and Santigold, the evolution is evident from Eyelid Movies to Voices. The unassuming, post-chillwave, and nearly playful sound has progressed into something that is much more hard-hitting and solemn. The album’s standout track is the single “Black Out Days,” where Barthel’s nearly wordless hook is incredibly catchy and can bring an entire stadium to its feet. Indie pop meets R&B and explodes in an exploration of inner turmoil. A few tracks skate on by and have moved on to the next before you even notice them playing, weaving in and out of diverting your attention to commanding it. The result is a fantastic album that deserves a listen.